Camping Maisons Laffitte is located only 20km to the northwest of the magical city of Paris and 40 minutes to the west of the fantastic Disneyland Paris resort and as such is highly popular. Its stunning location makes it the first choice amongst many families looking to explore the culture, history and sights of Paris and the fun filled excitement of Disneyland Paris, whilst still enjoying the freedom of camping. The campsite is set within over 6 hectares of grounds that run alongside the river making it a lovely relaxing campsite, although there are regular trains that run along a nearby track which may put some people off. Camping Maisons Laffitte’s superb location also means that it’s an ideal campsite to choose whether you wish to take your own car or whether you prefer to fly. Public transport links in Paris are some of the best in the world and the campsite benefits from this by being just minutes from the local train station at Maisons-Lafitte. From here you’re able to get a train and following links to any part of the city and the main airport Paris Charles de Gaulle which is only an hours commute away. Unfortunately there is no swimming pool at Camping Maisons Laffitte and on-site activities are limited however you should not let this put you off. Within minutes of the campsite from Maisons-Laffitte station, you can be anywhere in Paris. There is so much here to explore and enjoy, we’re sure you won’t be disappointed. Camping Maisons Laffitte offers a comprehensive selection of activities and facilities on site and also nearby to ensure you have a fantastic family holiday. On-site activities at Camping Maisons Laffitte include a multisports ground, basketball, football, table tennis, fishing, boules, cycle hire and a playground. Facilities available at Camping Maisons Laffitte include WIFI, restaurant, takeaway, bar, groceries, washers and dryers. 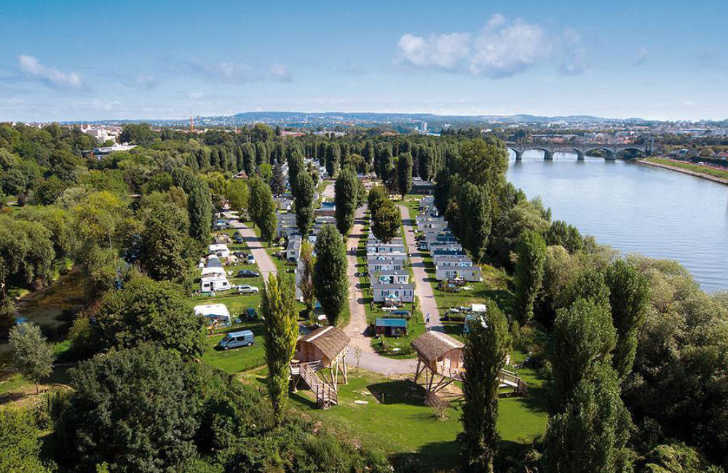 Accommodation at Camping Maisons Laffitte includes a range of 2 and 3 bedroom mobile homes that are available from Suncamp. You can also book camping pitches for your own tent, mobile home or caravan at Camping Maisons Laffitte.